« Carving up incr(edible) art. 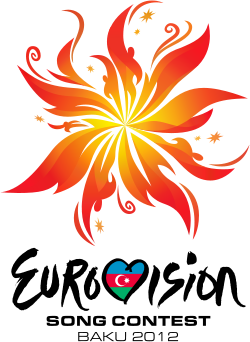 If you have read this blog before, it probably won’t come as a surprise to you that I love the annual Eurovision song contest. That’s right, let me say it again – loud and proud: I LOVE EUROVISION! It’s not cool, I know, but I have been a fan since I first saw it and couldn’t quite work out whether it was real. It is real. And it is spectacular. When you’re all the way on the other side of the world here in Australia, it can be tough to keep up with current European trends – you know, fashion, music, makeup, design etc. And if you watched the Eurovision song contest, I think it’s safe to say that you would form a very strange impression of many of our European cousins, indeed. With costumes and performers and music that often seem like they’re from another planet, nevermind another continent, the contest brings together many countries from Europe to share their particular sort of ‘special’ with the world. And whether they’re singing in their native tongue or in that kooky language of English, it’s often tricky to work out what they’re singing. Which is usually for the best. But the common language is cheesy ballads or techno dance beats, daring costumes, big hair and big smiles. The lady representing Greece is singing a song called Aphrodisiac. I definitely hear her rhyme it with ‘maniac’, but I’m not sure what else. These two chaps are representing Austria. They are rappers and call themselves Trackshittaz. Judging by their press photo, they are big with the laydeez of Austria. It is interesting to listen to rap in another language. Sounds kinda like a lot of angry swearing. Then there is this lady representing Albania. She has a very powerful voice and a bird’s nest full of dreadlocks on her head. A force to be reckoned with. Oh, and guess who’s representing the UK? 78 year old Engelbert Humperdinck. Uh huh. Now, this is coming close to my favourite. It’s the entry from San Marino. And I’m not proud to say that I had to look that up to find out that it is also known as the Most Serene Republic of San Marino, located on the Italian peninsula, east of the Apennine Mountains. The population is just over 30,000 and I’m not sure what life is like in San Marino – but their entry in Eurovision is this young lady singing The Social Network Song. And in a rehearsal that I saw, she was using her laptop as a prop on stage. 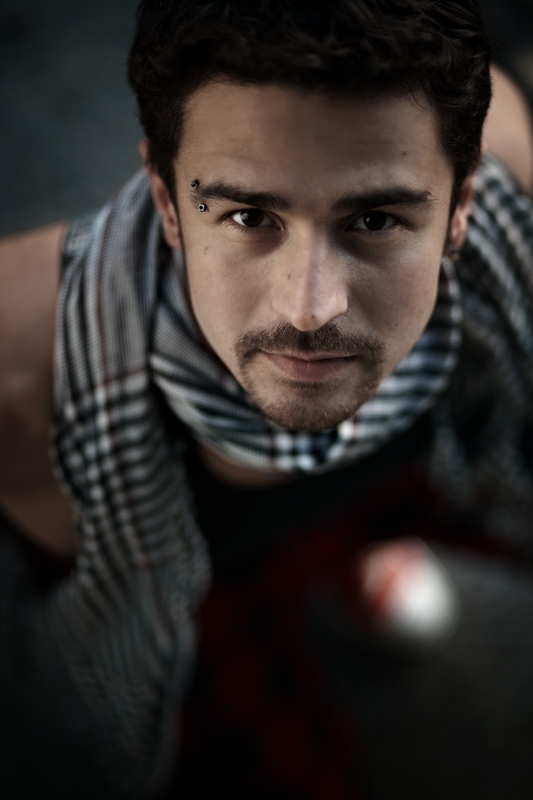 Not to be outshone, Moldova’s entry looks a little like Colin Farrell. And then there’s the Romanian entry. Their press photo gives you a pretty good idea of what they’re about. It’s an interesting number, with a foxy lady out the front of a 1980s band jumping around the stage – I think they are playing their instruments, and if so, the guy on the piano accordian should be complimented for his ability to dance around while keeping the music pumping. 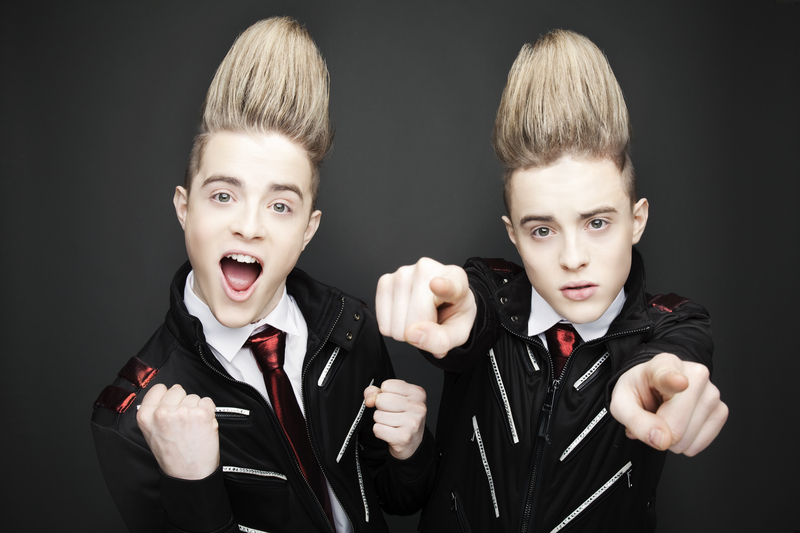 For the first time, Ireland will be represented by the same act as last year – Jedward, the spikiest heads in the business. These two boys are like aliens from out of space with their crazy costumes and flammable hair-dos. They do have sweet voices, which will no doubt be tested as they cartwheel and back flip across the stage. Yes, really. I think they came 8th last year, which was a pretty good showing, so let’s hope that they can bring some joy to the Emerald Isle with a top 5 finish in Baku. An d now, the end (of this post) is near, so I’ll leave you with the intriguing entry from Georgia. Anri Jokhadze is the first male to represent Georgia in the Eurovision contest. And he’s singing his pop song, I’m a Joker. Yes, Anri, you’re a joker – I can tell by your press photo. But you’re so much more, according to the lyrics from your song, which include: I’m a joker; I’m a rocker; I’m a shocker; I’m a poker. Also, I’m a talker and straight-walker; I’m a broker, evil-blocker. Then, I’m a slaker, Trouble-breaker, Fortune-maker, Care-taker. And the song ends on a frightening note for all of the HR professionals in Georgia (and beyond): I’m just a womanizer, Let me be your supervisor. You’ve been warned. If you’d like to find out more about this magical event, check out the official Eurovision website, which is where all of these official pics from the European Broadcasting Union were sourced. I’m excited! Oh, and this guy is representing Slovakia. I do not know what he is singing. Ah Jedward – The Bros of the new Milenium ! YES! So true. Now I have that song “When will I, will I be famous? I can’t answer – I can’t answer that!” in my head, thanks MJH!